Here’s a few pictures of my shop which is and attached garage. 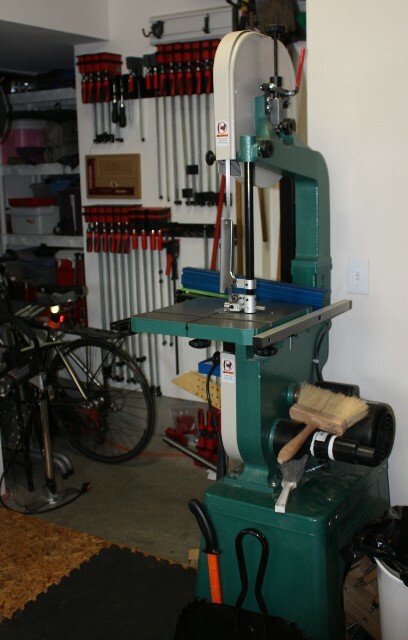 I share the space with bikes, bar-b-q, lawn mower and other yard tools. I laid some DRIcore to make standing on the concrete floor a bit easier. When we build the garage in 2009, we insulated the walls and the door to keep it nice and cozy. 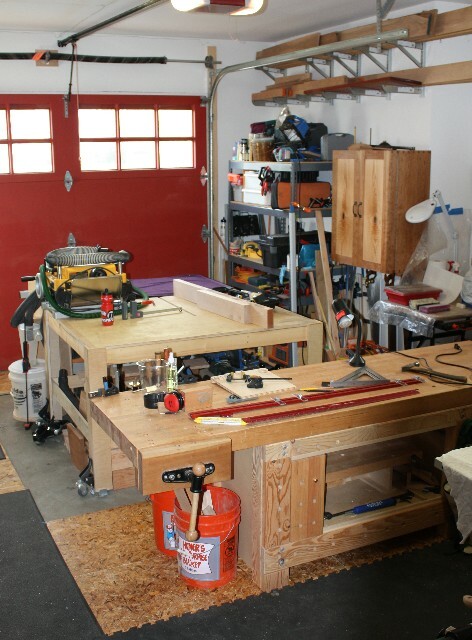 The center of my shop is my workbench. I have some over head wood storage on both sides of the garage. My tool cabinets are on the same side of the garage. 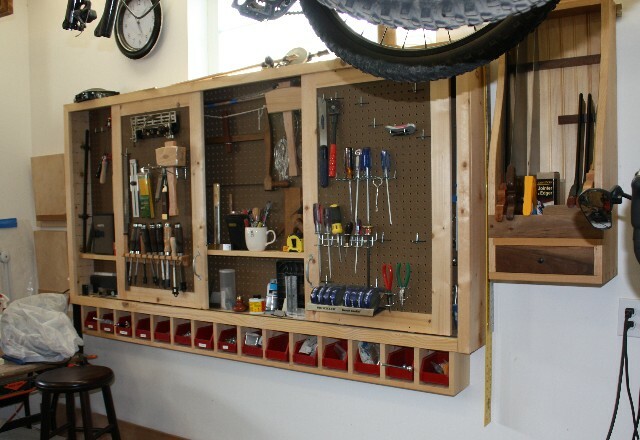 The sliding door tool cabinet is mostly for power tools and other odds and ends. Next to it is my saw till. The double door tool cabinet houses my hand tools. 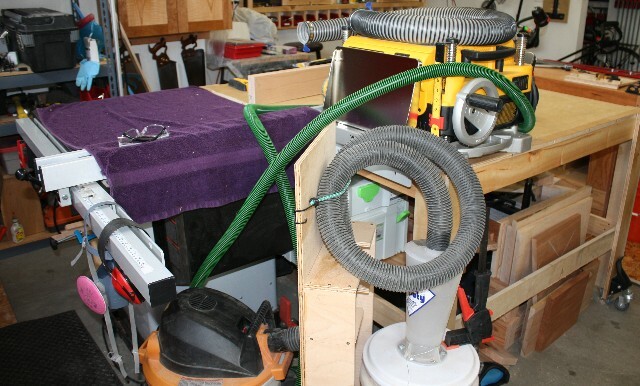 My table saw, roll around vacuum and planer are on the other side of my assembly table. 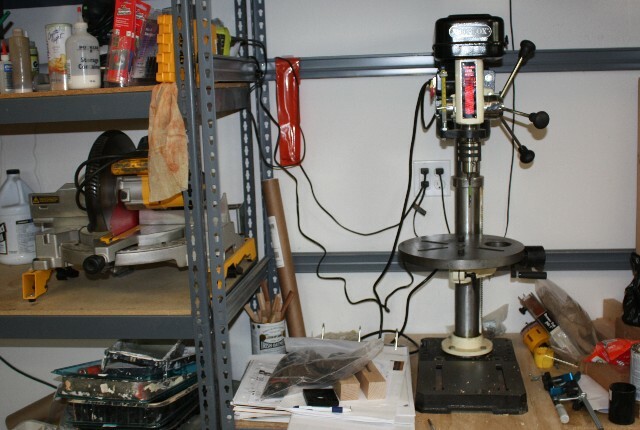 I also have my drill press and chop saw set on the shelving to the side. I use my chop saw mostly for my siding project.